SHARES in Kibo Energy stayed near all-time lows today despite a shareholder letter seeking to calm nerves following the rejection on February 14 of the firm’s coal to power project by the Tanzanian government. Kibo Energy announced last month the Tanzanian government had given “no reasons” that a tender to the country’s state-owned power company, TANESCO, was unsuccessful. The proposed 300MW to 600MW Mbeya Coal to Power Project (MCPP) had been in development for at least six years before the government abruptly pulled the plug. “TANESCO did not supply the company with ANY (company emphasis) reasons/explanation for its decision in their notification letter,” said Louis Coetzee, CEO of Kibo Energy in the February announcement. “The company is currently seeking very urgent clarification and explanation from TANESCO in this regard,” he said. Shares in the company lost just over 50% the day after the announcement and then shed another 12% over the next few days to trade at an all-time low of 73 pence per share. The company first listed in 2010. It is currently trading at 75p/share. Coetzee said today the outcome of the tender process had been “disappointing” but said the value of the project – which has potential revenues of up to $8.5bn over a 25-year life – should not be written off. “It’s strategic location close to potential private offtake partners and the export market provides many opportunities to commercialise the project which we are actively pursuing,” said Coetzee. MCPP could also yet become a state-backed power provider as TANESCO’ full quota for coal fired power had not been met, he said. “Kibo is also still pursuing its clarification request to TANESCO to provide reasons for not qualifying the MCPP in terms of the current tender for coal fired power,” said Coetzee. 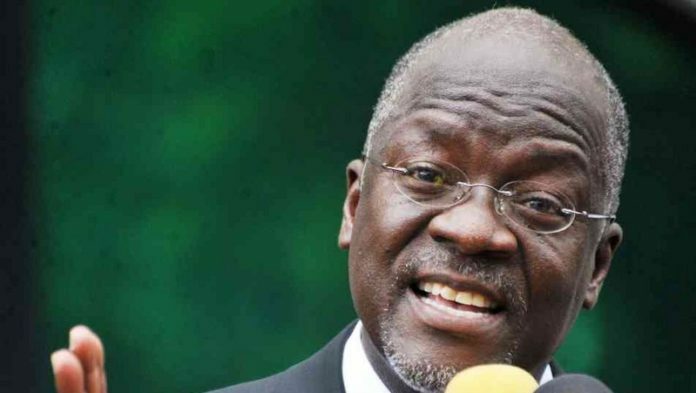 The rejection of the MCPP tender is another example of the unpredictable nature of Tanzanian president John Magufuli’s attitude to foreign investment. The country has been at loggerheads with Acacia Mining for two years over a dispute related to unpaid tax allegations totalling $190bn. This has resulted in the mothballing of underground production from the firm’s flagship mine, Bulyanhulu. The country has also seized goods produced by Petra Diamonds from its Williamson diamond mine which have never been released whilst unpaid VAT returns is a common complaint across the East African country’s mining sector. The rejection of Kibo Energy’s project is deeply mystifying given the procedural rigour the company took in winning permits and in attempting to negotiate a power purchase agreement with TANESCO. Coetzee said the company would press on with its other investments: it bought control last year of the Mabesekwa coal mine in Botswana the coal of which it intends to use in a coal to power project. It is also involved with the Mozambique government on a similar project although in this case, it is procuring the coal from third party suppliers. Kibo Energy also bought a UK energy business last year called MAST. You cannot make deals with the Devil. They wanted you to complete the project so that they can take it over (steal it)… Only fools will invest in Africa…. To his Excellency Dr Magafuli president of Tanzania. Our nation continues to live in darkness, despite the good efforts you have made to bring light into our darkness. How disappointing it must be for you to see that Tanesco continue to disappoint and undermine your best efforts. I have to openly question what motivates them. Tanesco had recently re run the Independent Power Producer(IPP) tender as out lined below. They did this because they could not get the process correct and transparent. We still do not know how many IPP’s submitted their formal tenders purchased through Tanesco. What we do know is that some of the applicants have been advised that they did not qualify, without giving reasons. Transparency is so lacking we do not know which of those IPP’s are ‘late’ or ‘early’ stage. This matters as ‘late’ stage contractors may be able to start work immediately, whilst ‘early’ stage applicants will have to follow a very long lead in time whilst conducting various feasibility studies and accumulate many licences. This is a very long and expensive process, not for the feint hearted or those who do not have financial integrity. In this regard, I was very surprised to see that a tender has been awarded to Stamico in conjunction with a Chinese power plant operator. Are these two companies really the best ‘late’ stage IPP’s as cursory investigation suggests that this may not be the situation? Your Excellency we are crying out for energy now and cannot afford ‘early’ stage development. I know we are far from Dodoma or Dar but please hear us as we should not be far from your heart. How can such poor work be accepted by Tanesco, it makes it look that there may be other reasons, perhaps millions of other reasons why this bid was successful!!. Should this suspicion be true, then it brings great shame upon all of us. The ambassador from France has been explaining why it is that they fully support the industrialization of Tanzania and understand that this is an energy driven process, and offering to assist us. I wonder out loud, if their kind thoughts of offering assistance are now diminished when they see the results of this Tanesco tender process. I would not be surprised if any future IPP companies abandon interest in Tanzania completely. Stamico are a State Owned Enterprise(SOE) and I am pleased to see that they are associated with trying to bring Energy into our nation. The concern is that the process is suggesting, without stating that a mandatory partnering with an SOE is a requirement and that surprisingly only one bid met this requirement! Why could this SOE partnership requirement have not been made clear in the Tender documents? if so, there would have been far fewer applicants, perhaps just one that was planned all along, if any at all. The whole process is looking cosmetic, as if someone in Tanesco is trying to ensure that transparency is shielded. The concern is that we will now be viewed as not being trustworthy, as the bidding process looks like it is subject to forces that may not be working for the benefit of our nation. Instead this may be seen as just working for the benefit of some in Tanesco. Should this be the case then I believe our country will be abandoned. The truth is that if Stamico had applied as an IPP they would have failed due to their miserable track record of continued failure, with debts outstanding to the government. Does it not seem strange that Stamico, a SOE could have qualified in an IPP process, as Stamico are far from being independent or solvent yet have been handed this contract despite the below. By the grace of the African Development Bank(ADB) Tanzania will now have the costs of part of our new grid covered by their generosity. Thanks to you we have our fellow African nations supporting us. Will they still be so generous when they see what Tanesco have done? Your Excellency you are our father and we are your children crying to you for light to come into our darkness, please hear our cry and take the action needed with Tanesco to have ‘late’ stage IPP’s reviewed. Please take charge as you did over the cashew nut problem which you solved for us. As now we are in the darkness and being left without hope.